Let Kitty take a walk on the wild side with this Animal Print Cat Collar in Giraffe. 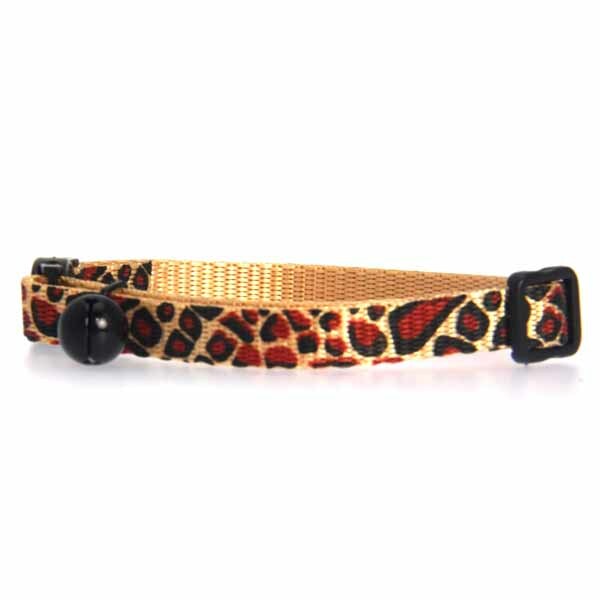 Trendy animal print designs make this cat collar a true find. The East Side Collection Animal Print Nylon collars have a plastic breakaway buckle that releases upon snagging to keep cats safe. Also has a jingle bell that lets other animals know there's a cat nearby. 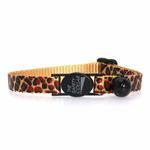 Your cat will look wild and wonderful wearing this stylish Giraffe print collar!